Letters from an Officer of the Corps of Engineers, from the British Army in Holland, Belgium & France to his Father, from the latter end of 1813 to 1816 . 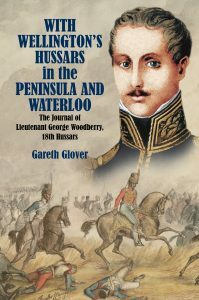 Adventurous pursuits of a Peninsular War Veteran. 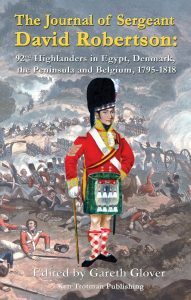 The Peninsular and Waterloo memoirs of Private James Smithies 1st (Royal) Dragoons 1809-15. Voices of Thunder, A Novel. 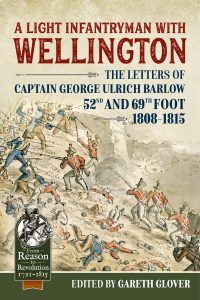 Letters from the Battle of Waterloo. Unpublished Correspondence by Allied Officers from the Siborne Papers. Recollections of My Life including Service at Waterloo. Colonel George Blathwayt 23rd Light Dragoons. 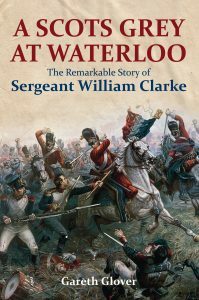 A Narrative of the Battles of Quatre Bras and Waterloo; With the Defence of Hougoumont by Matthew Clay . 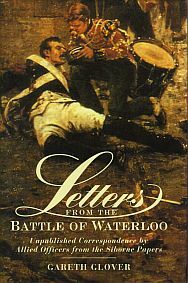 Waterloo Letters . The 1815 Letters of Lieutenant John Hibbert 1st King’s Dragoon Guards. Reminiscences of Waterloo. The Correspondence between Henry Leathes and Alexander Mercer of G Troop RHA. A Short Account of the Life and Adventures of Private Thomas Jeremiah , 23rd or Welch Fusiliers 1812-37. 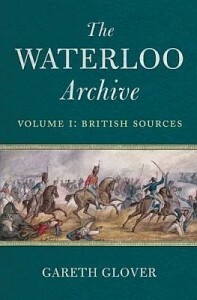 The Waterloo Diary of Captain James Naylor, 1st King’s Dragoon Guards. The Diary of a Veteran . The Diary of Sergeant Peter Facey, 28th (North Gloucester) Regiment of Foot 1803-19. 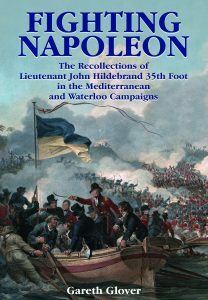 However, a great number of the texts I have published to date deal with this campaign in detail and raise a number of questions over the ‘accepted’ version of the Waterloo campaign. The major areas of discussion are listed below. of the French invasion of Belgium early that morning. The timings of orders to the various British and Allied units to march to Quatre Bras. The force ordered by the Duke of Wellington to halt south of Nivelles to watch this road for French flanking movements, despite his desperation for troops at Quatre Bras. The reasons for the delays in units arriving at the Battle of Quatre Bras. The actions of German units at the Battle of Quatre Bras. 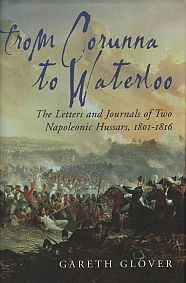 Details regarding the retreat to Waterloo. Looting by British troops. Yes it happened! 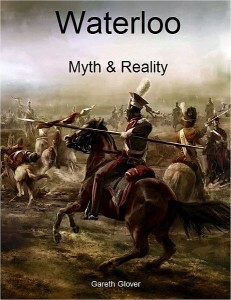 The myth that Bijlandt’s Brigade was left on the forward slope to be slaughtered. The claim that there was no infantry reserve on the left of Wellington’s army. Mistakes in plans showing the original positions of troops at the Battle of Waterloo. The myth that Hougoumont was only defended by British Guards. Proof that German troops aided in the repulse of Derlons attack. The myth that only 42 men survived the defence of La Haye Sainte farm. The Second (Yes Second!) break in by French troops at Hougoumont. The myth that the French did not use artillery against Hougoumont. The mistaken retreat of Kielmansegge’s Brigade and subsequent arrest of their commander by Wellington! Evidence that the British right had made some preparations for a retreat. Captain Alexander Mercer’s exaggerations in his journal. Mercers battery was not under fire by Prussian guns. Evidence that the French murdered their prisoners before beginning their retreat. The unstinting care of the wounded by the Belgian population. Medical evidence regarding the wounded and their treatment.